We have had a lot of questions about fall polo options with WVWP. We will start fall polo September 16th at 6pm (practices on the calendar: note practice end time is listed as 7:30pm, but may change). Last date for fall polo will be November 18th. Returning players from the Spring 2017 season are free. New players are $100. Whether new or returning, please Register online. The plan is to have 1-3 tournaments this fall. 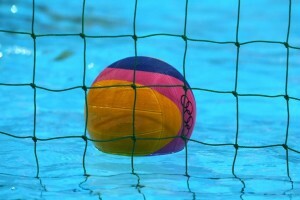 Player Registration: wvwp.org has the Player Open Water Tournament Registration form available. Those families who met their 5 hours during the season enjoy entry to Open Water for only $25. All players playing during Open Water must register through the site prior to the event. Open Water Dates are Sunday July 9th – Thursday July 13th. Games are Monday-Wednesday, but just as important is all the time and energy to setup (mostly Sunday) and tear-down (mostly Thursday). The Games Schedule: The final schedule is not yet posted. Stay tuned to wvwp.org: Announcements, 2017 Open Water Results page, and/or the Calendar. U14s have games scheduled! A great experience to take part in the game unlike any you’ll ever get in any pool. Tournament games will be posted around the lake and camping area. They will be updated regularly. The 2017 Open Water Results page will have the schedule for each course. As a Google Sheet, this will be updated live as games progress. USA WP event: All players and coaches (including U14s) will need to bring your USA WP card and photo ID to each game. Referees will be checking. Similarly, trim those nails. Volunteer Time during the tournament: In addition to the 5 hours during the season, each family should select 5 hours (or more – there’s much to do!) of volunteer time during the Open Water tournament. Sign up early, and get the spots you want! Please plan to arrive 15 minutes early for your time to learn the needs of the position. Keep in mind that your 5 hours volunteer time during Open Water for WVWP is separate from any volunteering you do with your high school teams (e.g. scorer’s tables). Coach Chris was able to nab some videos of the recent camp with Jack Kocur. Check them out! WVWP Players and Parents: There is a player and parent meeting to be held at Albany Pool on Sunday, February 19th at 1pm. Please plan on attending to get this year’s information about our Spring Water Polo events and tournaments including Oregon Open Water and Junior Olympics. Registration to play with WVWP in the Oregon Spring League is now open. Sign up today! U14s start January 14th at Albany pool. U18s skills start January 15th at Albany. Events that are known are on the WVWP Calendar, and more to be added as scheduled. Note there is a Parent Meeting scheduled for Sunday, February 19th (1pm @ Albany Community Pool). Willamette Valley Aquatics – Albany Swim Team! Emails are sent periodically, and only for the purpose of notifying members of upcoming events, changes, and reminders. We will never sell or use your email address for any other purpose than keeping our players & parents informed.